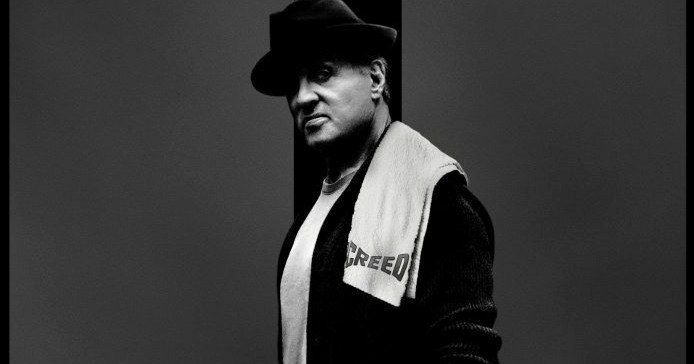 Sylvester Stallone turned 72-years old on July 6th, and in honor of the occasion, MGM released a new Creed 2 poster featuring the actor's iconic Rocky Balboa character. Stylistically, the poster is in the same vein as the previously released character poster that featured Michael B. Jordan's Creed. Stallone is staring down the camera in the black and white image, looking just as intimidating today as he did back in 1976. Sylvester Stallone has been prepping the sequel since last summer when he first revealed that he was writing the script. Filming for Creed 2 recently wrapped and the punishing first trailer was released a few weeks ago. It looks like fans of the first movie are going to be in for a treat this November when the sequel hits theaters. Many were worried that the project was moving on without director Ryan Coogler, though he still stayed on board to executive produce. Coogler was just too busy with Black Panther to commit to Creed 2 so close to the first film. However, Steven Caple Jr., who helmed the acclaimed 2016 drama The Land, took over and the first trailer looks awesome. Though Sylvester Stallone didn't end up writing Creed 2 by himself or directing, like he had originally intended, the project is very much his baby. The actor continually kept fans updated with pictures from the set ranging from his workout routine to official artwork from the movie and everything in between. Stallone was 71-years old while training and filming the sequel and was seen doing things that men half his age probably cannot do. The Rocky Balboa actor also made sure to take fans to important locations to the history of the Rocky franchise, including the infamous old Rocky house. Michael B. Jordan, Tessa Thompson, and director Steven Caple Jr. announced that filming on Creed 2 had officially wrapped by posting videos and pictures from the wrap party. The three friends looked like they were extremely proud of what they had accomplished while having an excellent time as well. Jordan's profile will be considerably higher when the sequel hits theaters later this year, thanks to his epic performance in the Marvel Cinematic Universe's Black Panther. The young actor started the year with a bang and he'll be winding down the year in style as well. Creed 2 hits theaters on November 21st, almost exactly two years after the first movie. Now that production has wrapped and the first trailer has been released, there's plenty of more promotional material to look forward to in the coming months. Sylvester Stallone will have to take a break from his intense schedule to do press for the sequel this fall, which is also when production on Rambo 5 is rumored to begin. Check out the Rocky Balboa poster in honor of Stallone's 72nd birthday below, thanks to the Warner Bros. Twitter account.